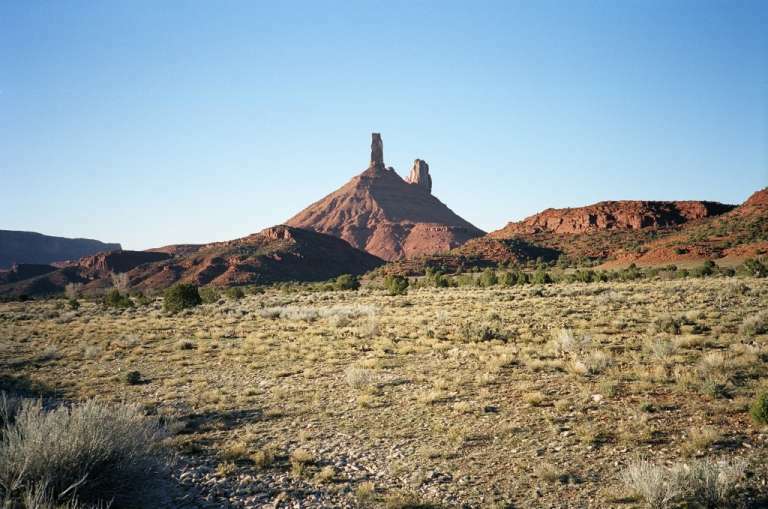 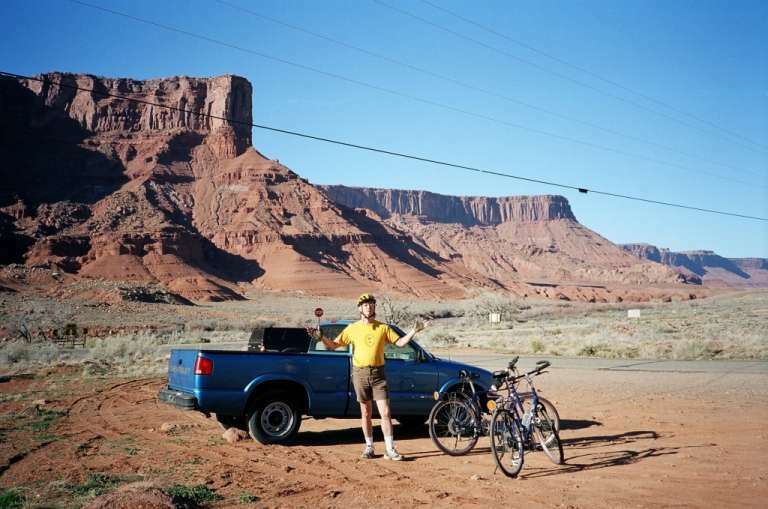 On arriving in Moab, we first did a short trip from highway 128 (east of Moab), southward (and uphill) on the highway to Castle Valley. 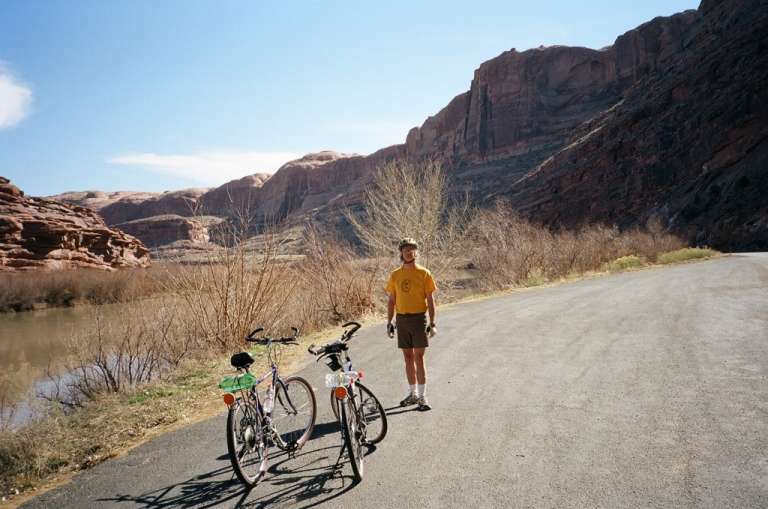 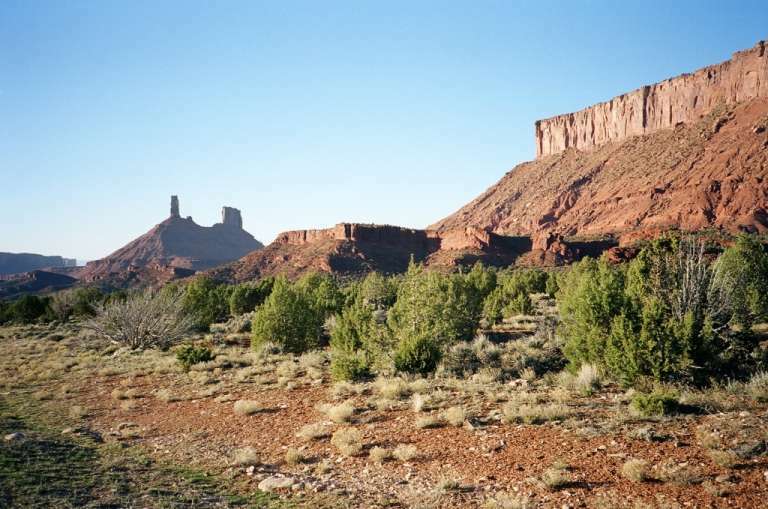 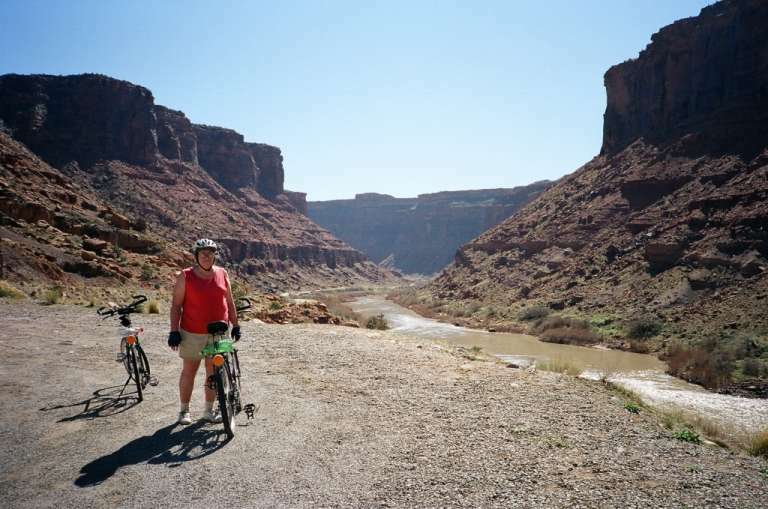 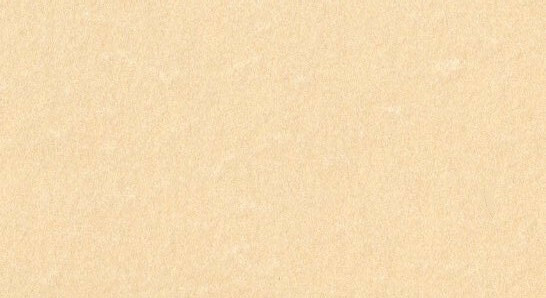 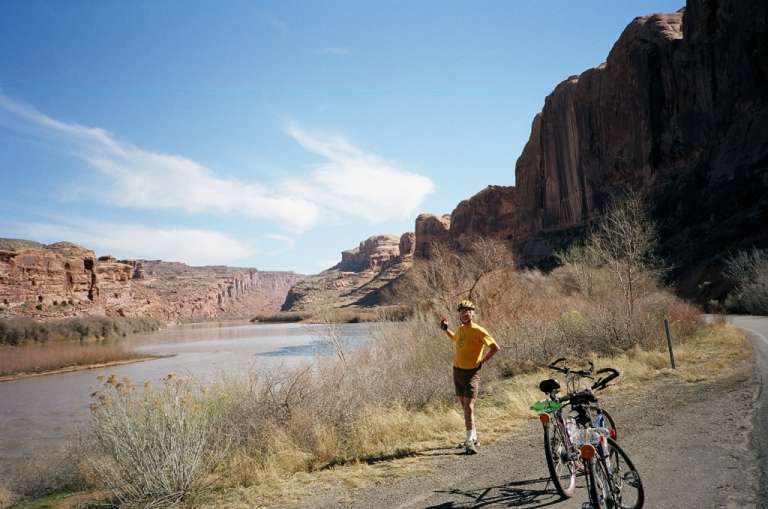 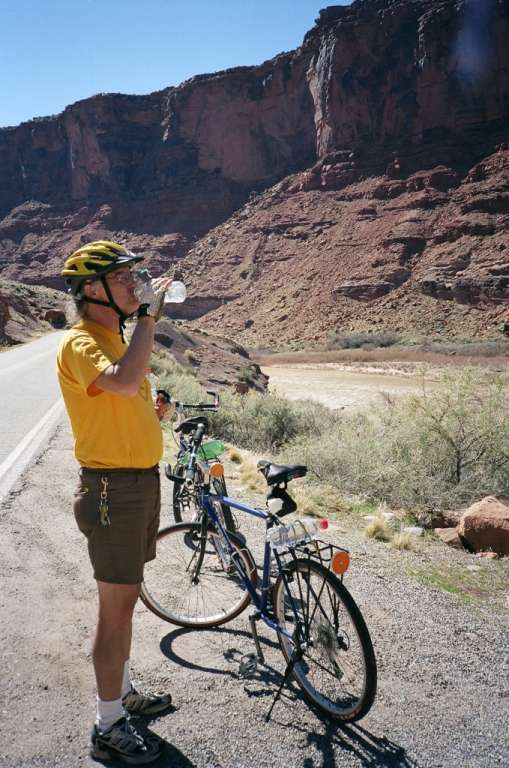 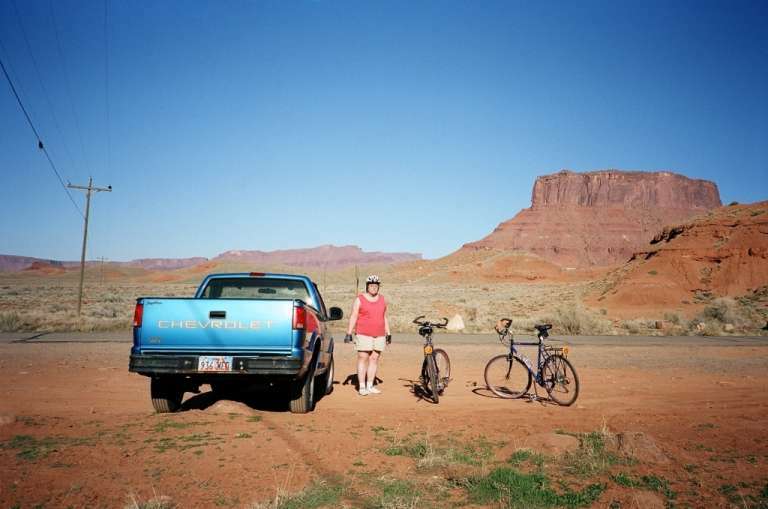 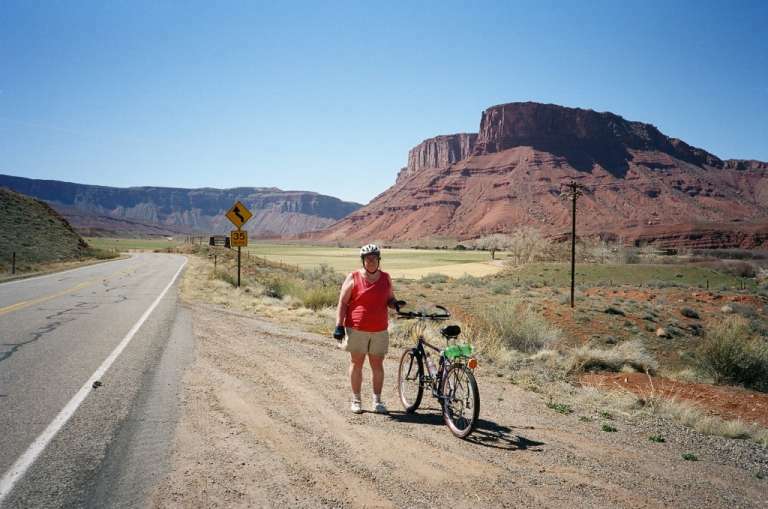 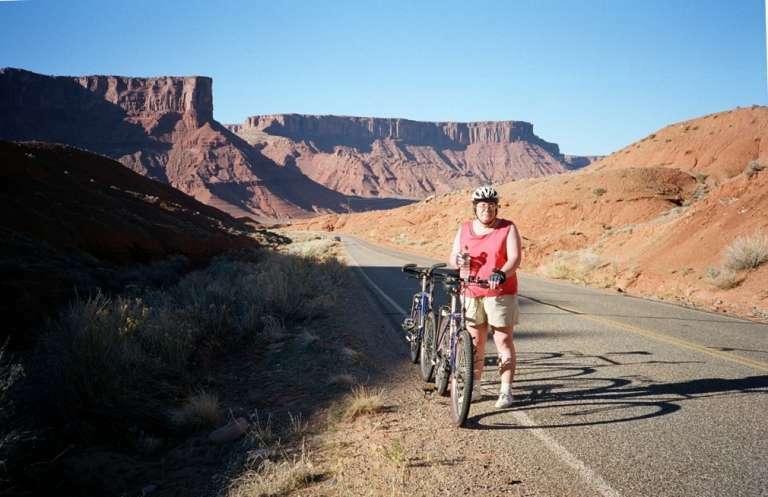 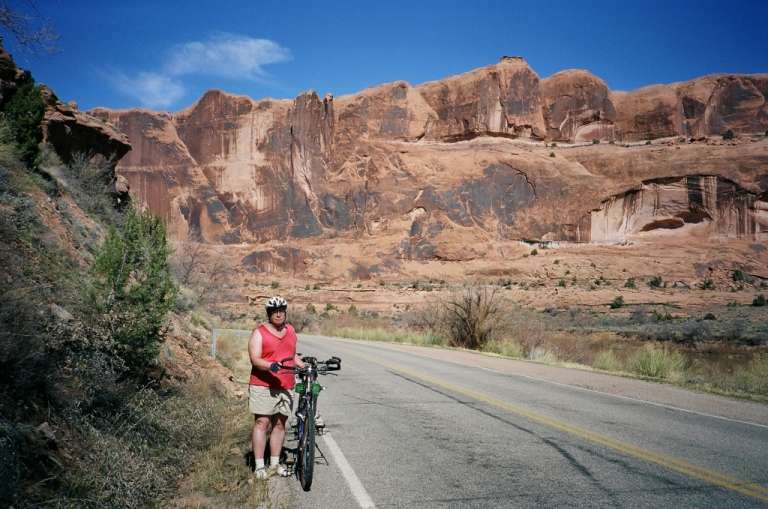 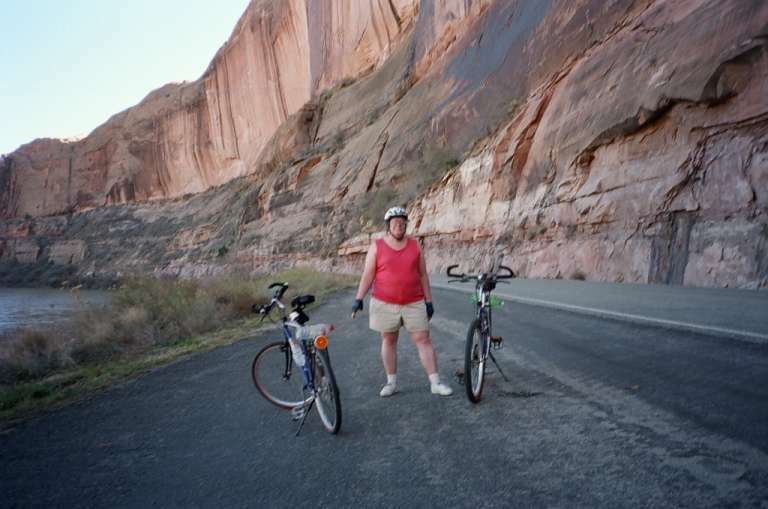 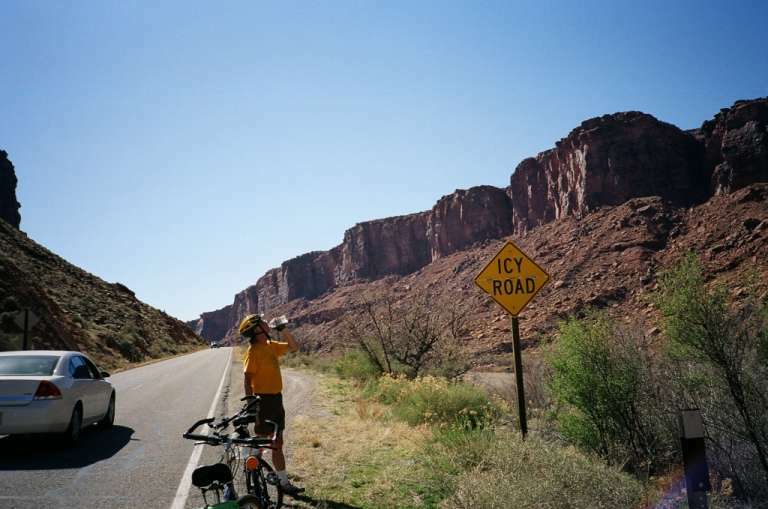 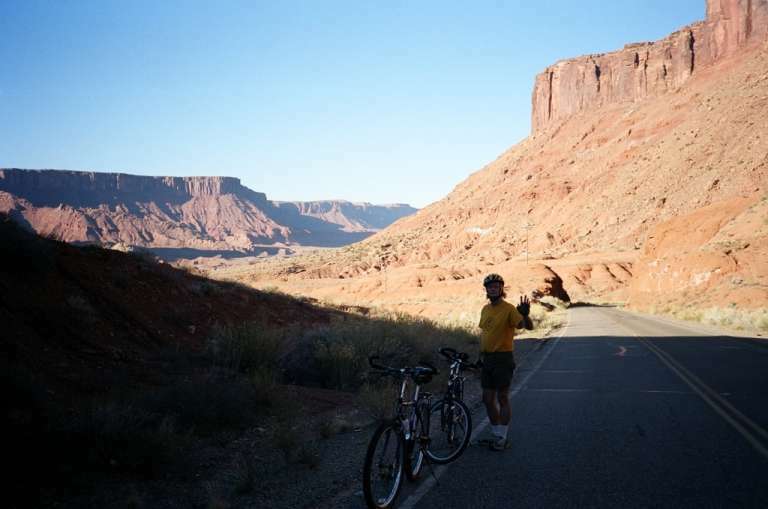 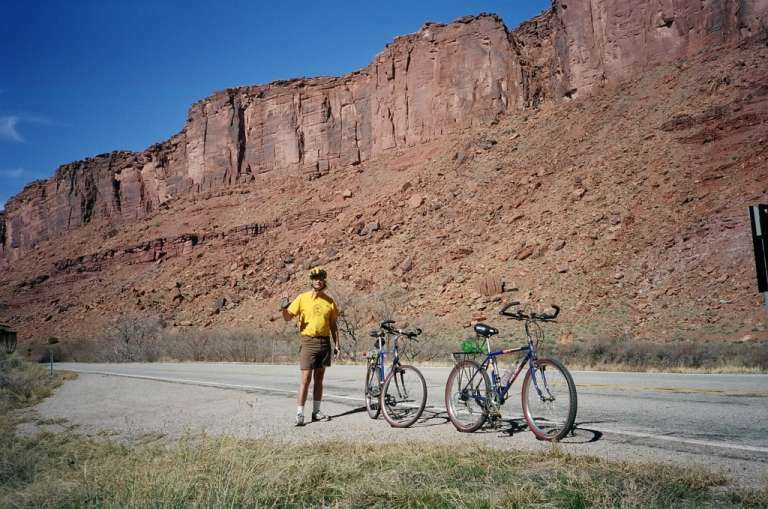 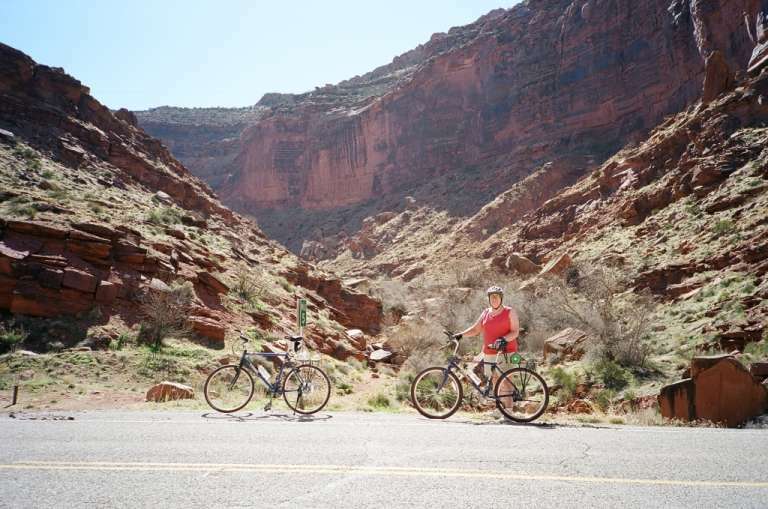 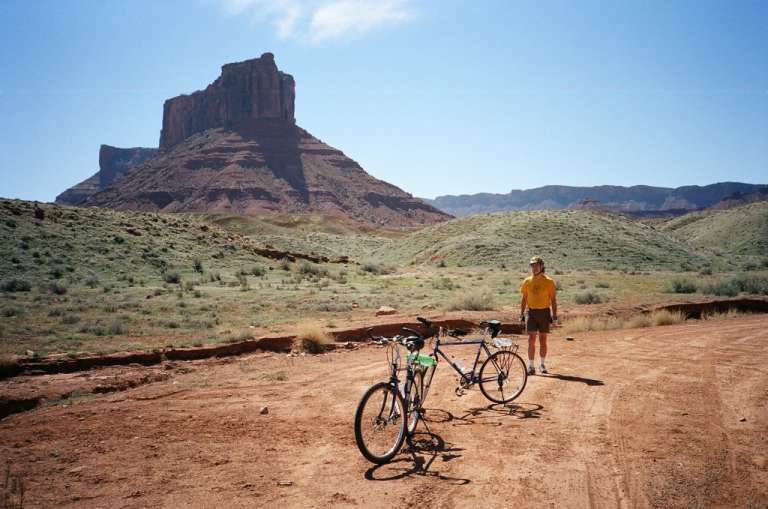 The next day, we cycled eastward along the Colorado River, on highway 128. 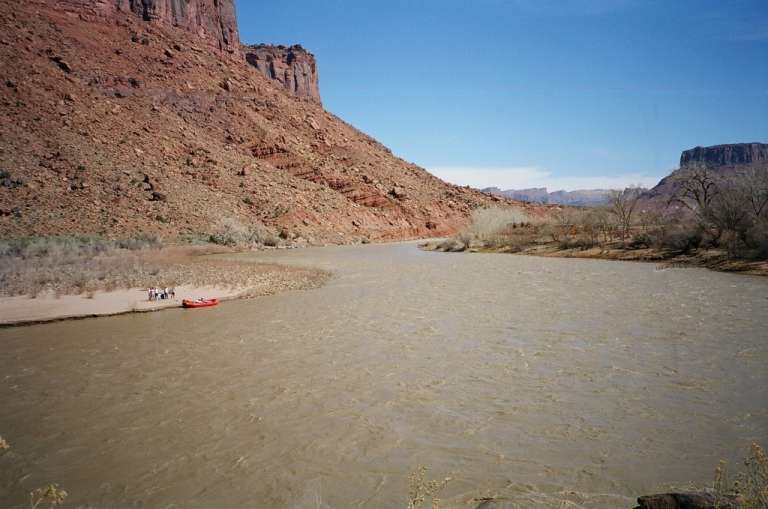 We started where highway 191 (the main highway to Moab) crosses the Colorado River. 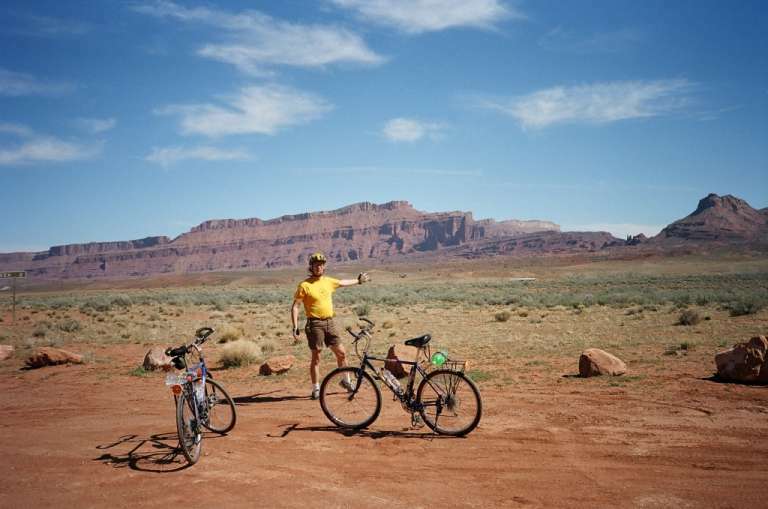 From there, we cycled eastward as far as we felt like going, then cycled back to our starting point.